Late to the Magic Square wagon but i've never been one to chase trends. Well now that round 1 of their 12 month-long pop-up at Portsdown is almost over (ends in Apr), and plans for the second round of three new chefs in the works, i've finally paid them a visit. 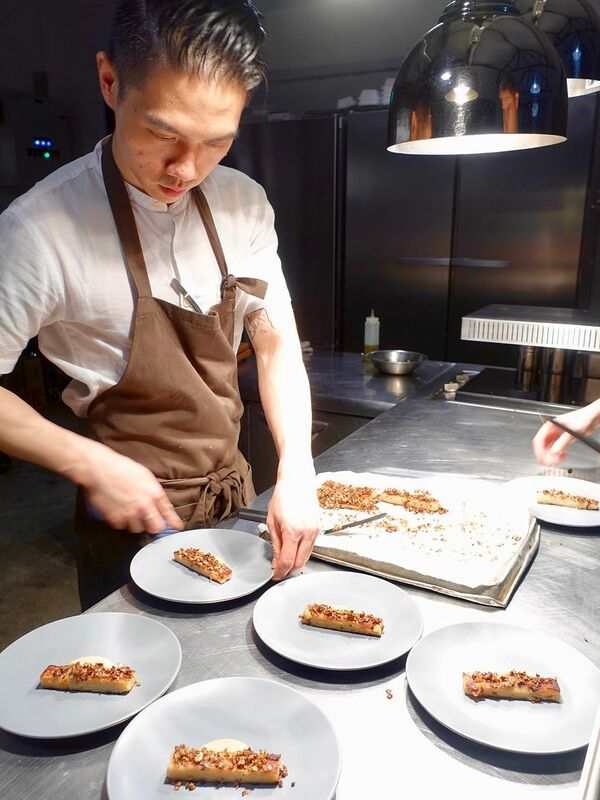 The theme for Jan was Japanese and Abel went with the minimalist approach by focusing on 3 core ingredients in each dish. 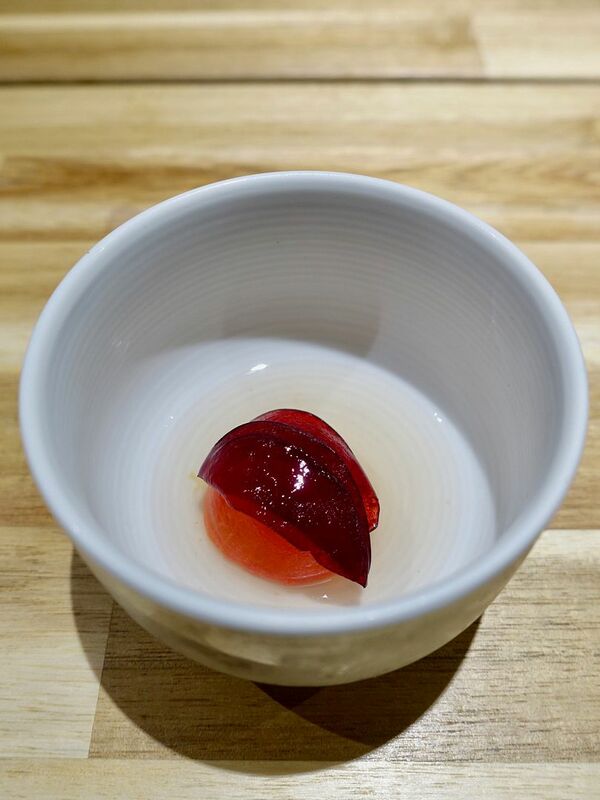 The first, a sweet tomato with a slice of plum in a cold savory broth. Next, a chilled beef tripe that is seasoned with dried chili, wrapped in pickled cabbage and meant to be eaten like a taco. I'm not a tripe fan but the wrap prevented me from picking things out and made me appreciate the different textures of the gelatinous and crunchy soft bone bits. 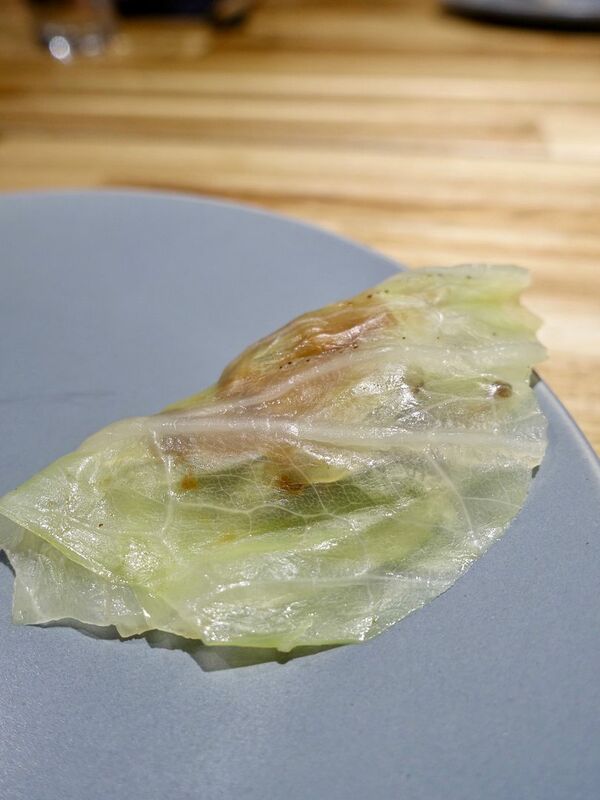 The little wrap has elements of Korean vegetable wrap and Chinese Peking duck crepe. One of my favorites was the Broccoli in various textures and flavors. 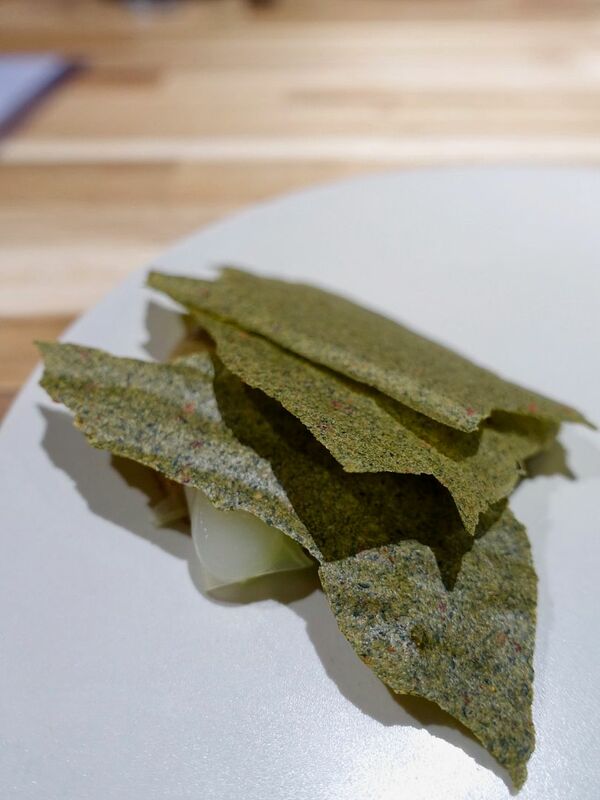 This power veg was fermented into kimchi and also dried into crisps together with nori. Certainly a sophisticated presentation of the humble green. 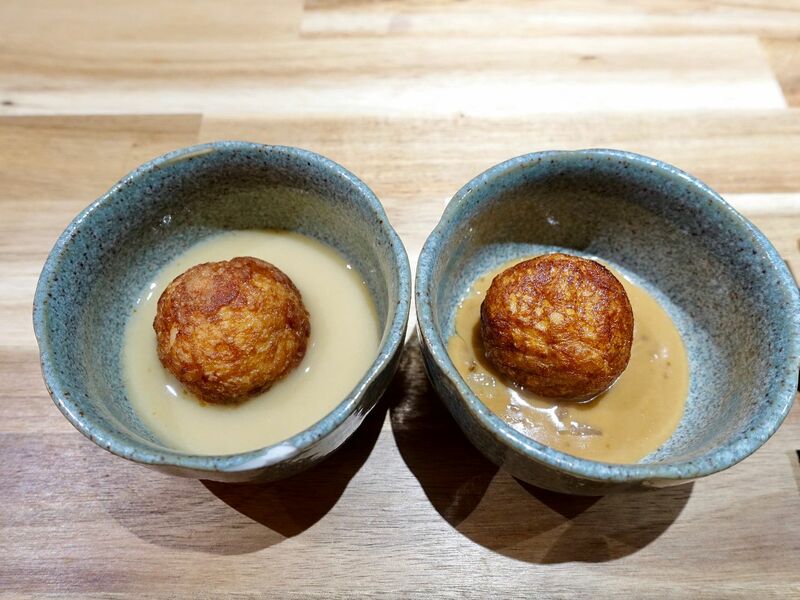 Sweetbread dumpling and bone marrow, presented like a takoyaki, tasted like an Ikea meatball. The sweetbread version fared better than the fish one my gf had (which was wayyy too fishy). There was also a barely warmed scallops with a smoked dashi glaze, refreshed with ginger and lemongrass. Somehow i preferred the vegetable dishes by Abel, which included this caramelized Jerusalem artichoke with white sesame. The vegetable was presented like a Singapore Carrot Cake. The artichoke is first roasted, blended and then then folded with rice flour and steamed and finally pan fried to give it a brown crust. Accompanying it was a purée of artichoke and sesame. I thoroughly enjoyed the nutty flavors in this dish. It tasted very much like a pan-fried carrot cake with chye poh. 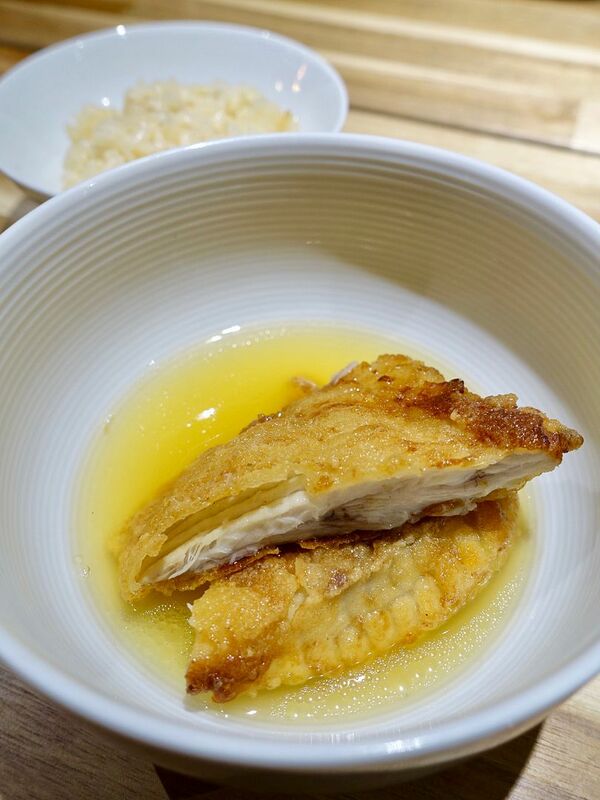 The main course was a Skate Agedashi Rice with a brown butter dashi broth that is soul warming but artery clogging. I found it a bit too oily for my liking and the flavors were rather one dimensional after a few bites. The rice is also cooked in skate stock with some more brown butter. I left more of this dish unfinished. 2 desserts were on the menu. 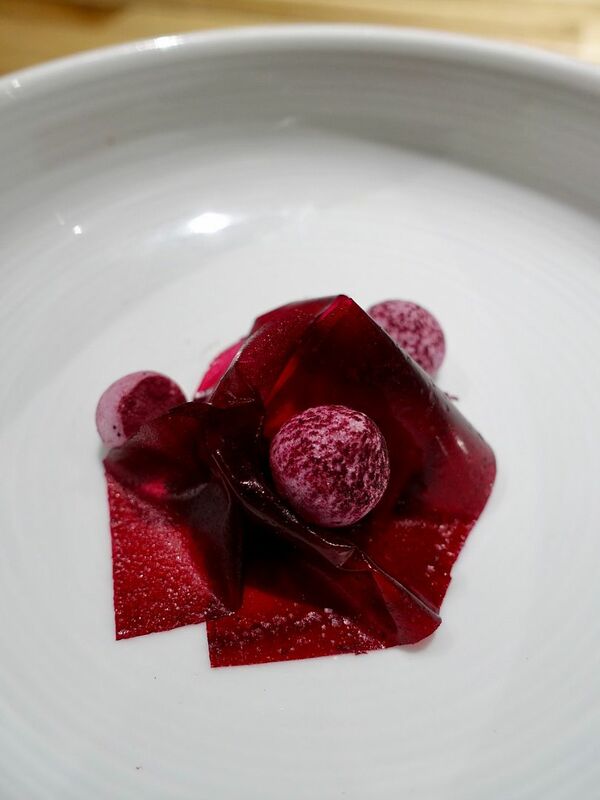 The first is Rosella, which has been cooked down in sugar and dehydrated into a gel which tasted like hawthorne. 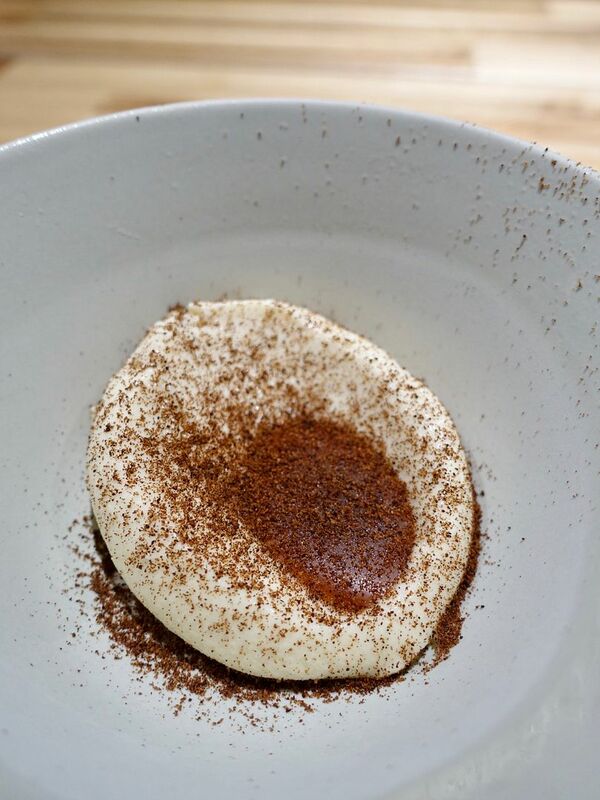 The acidity is balanced with a milk curd and little meringues that burst into sweetness. 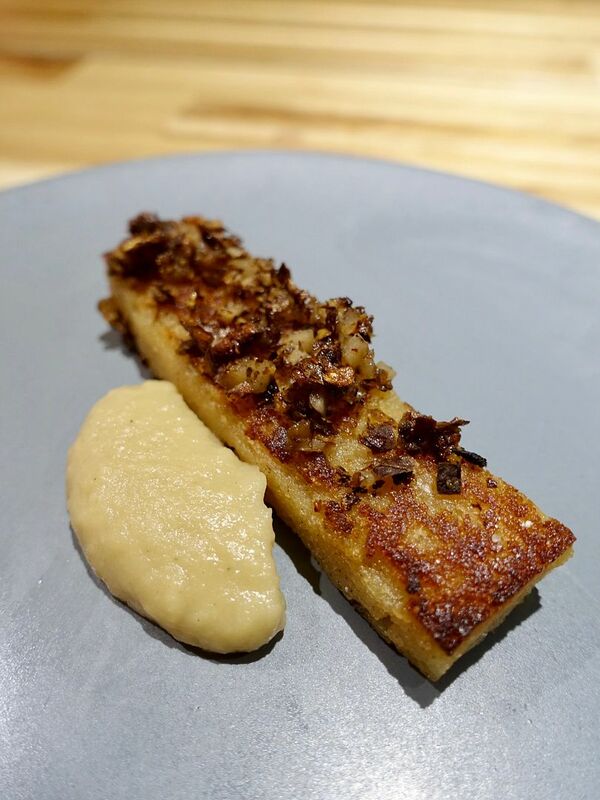 I was glad that the meal ended on an interesting savory note with a salty corn miso cream with smoked caramel and burnt bread powder. Am looking forward to the next round of Magic Square already as we heard that it'd be 3 female chefs this time (GIRL POWER)! Expecting more pleasant surprises.